Bear Creek Glen. Single wide home with addition features 2 large bedrooms, 2 full baths and private location in the park with no neighbor behind. A super price but needs lots of updating and some repairs. 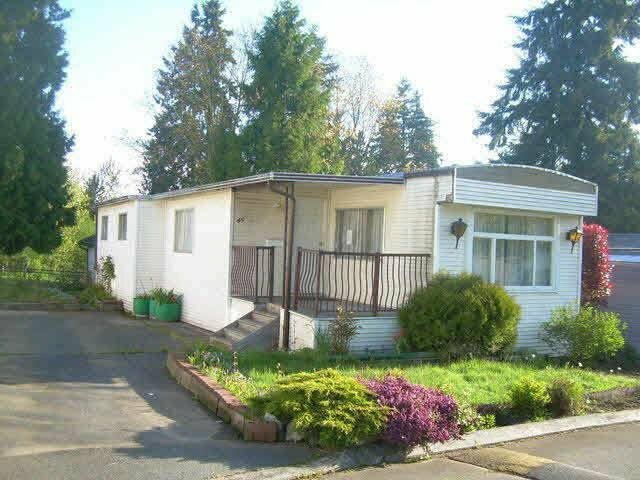 Pad rent is $820 in this well maint ained 55 plus park with community clubhouse and easy access to George Blvd, transit, shopping, Superstore, banking and only 10 minutes to skytrain. Small pet welcome, easy to show and quick possession possible.